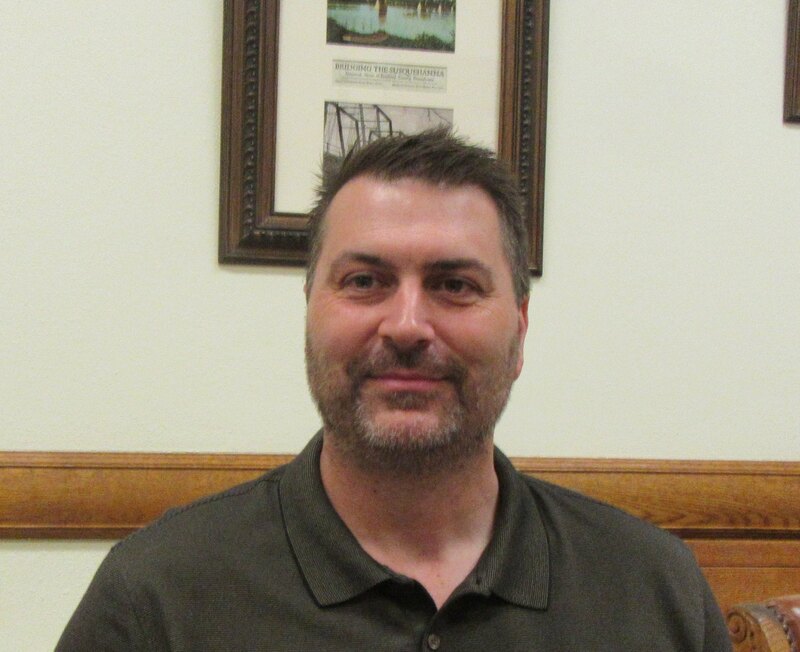 The Bradford County Department of Human Services Building on Main Street (top) in Towanda needs safety upgrades, according to the Bradford County Commissioners (below), who met on May 25 and approved the hiring of Tim Erikson (above) and his wife as attendants at Mt. Pisgah County Park. 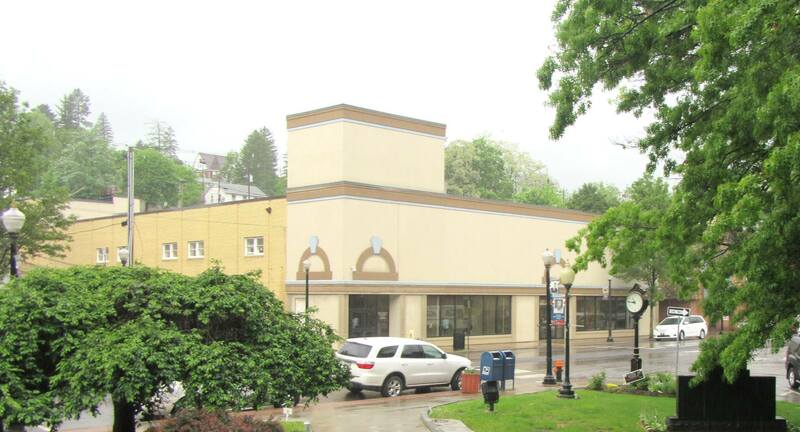 The Bradford County Commissioners acknowledged an ever-changing world at their public meeting on May 25 as they opened bids for bulletproof windows and other safety enhancements at the county’s Human Services offices across the street from the courthouse in Towanda. “In an effort to make a good work environment, we need to create a safe environment,” said Commissioner Doug McLinko, noting that threatening situations at offices in Lackawanna County and around the world make it clear that additional security measures for government employees are an unfortunate reality. McLinko described two components that can translate into threatening situations for those responsible for vetting situations associated with Children & Youth Services (CYS) and other aspects of the Human Services Department. Ever since the Jerry Sandusky case, in which the former Penn State Football coach was convicted of molesting youths in his care, the investigations conducted by CYS must be much more thorough, McLinko explained. “Everything has to be looked into,” McLinko stated, in reference to extensive criminal and psychological background checks of people in whose company children (already at risk) might be placed. Consequently, decisions arrived at by those conducting the investigations are sometimes met with resentment, which can translate into aggression and retaliation. The stress level of case workers has already been magnified by the extra work involved, the commissioners and Human Services Administrator Bill Blevins agree. Providing a sense of security for the employees is the least the county can do. Chief Clerk Michelle Shedden opened two bids received from IBES-TEK and Total Security Solutions to install bulletproof glass on exterior windows, security doors, and other undisclosed enhancements. The costs proposed for the work, which will be done in two phases, varied greatly, and the commissioners moved to take the bids under advisement. Blevins verified that about 80 percent of the total cost will be reimbursed by the state over the next three years. Two weeks ago, the commissioners rejected a single bid for the installation of a new cooling system for the courthouse because it was too far out of budget. Two new bids, one from Kimble, Inc. of Elmira, whose bid was opened previously, were actually higher than the company’s previous bid and were also tabled. McLinko wasn’t surprised by the increase, noting that air conditioning companies are entering their busiest time of the year. New bids will be solicited later in the season. In the meantime, the old system has been hooked back up and will have to suffice through the summer. The commissioners were happy to announce that Tim Eriksen and his wife Sherri will be running the soon-to-be-opened rustic campground at Mt. Pisgah County park near Troy this year. The 24 sites are non-electric and for tent camping only. They are adjacent to a number of recently improved trails, including the Ridge Trail, which provides a link to Mt. Pisgah State Park. “There are rules in place, including limits on how long you can stay and how many times in a season,” Commissioner Ed Bustin said of the county’s determination to prevent car-camping and semi-permanent dwelling that has been allowed at Larnard-Hornbrook County Park in Sheshequin Township. Tim, who currently resides in Cherry Township, Sullivan County has made several visits to the park recently, and the anticipated opening day for campers is June 1. The commissioners hope to celebrate the opening of the campsites and other improvements to the park by hosting a public meeting there on Thursday, July 27.